Police confirmed that 16-year-old Calvin Desir took his own life late Saturday evening, the Miami Herald reports. Desir was the second survivor of the shooting at Marjory Stoneman Douglas High School to die by suicide in a week. 19-year-old Sydney Aiello, who recently graduated from the school, took her own life a week ago. 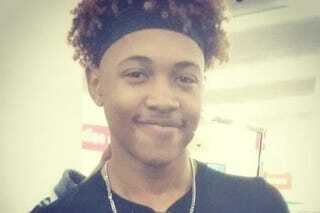 Desir’s sister, Brittany Wright, has set up a GoFundMe campaign titled “Calvin Lives” to help raise money for funeral expenses to bury her brother. According to the Herald, the City of Coral Springs has planned a Mental Health and Suicide Prevention Town Hall Meeting at the city hall on Wednesday at 6 p.m. If you or someone you love is in crisis, please call the National Suicide Prevention Lifeline at 1-800-273-TALK (8255) or contact the Crisis Text Line by texting TALK to 741741. Editor’s Note: The headline of this post was updated to reflect proper language use when references the death of a person who has died by suicide. We have also included links and phone numbers to resources for those in crisis.